Episode 05 - RESISTANCE PROJECT - Public Art Installation by RALPH ZIMAN from MUTI on Vimeo. More to the Mural: A Cape Town video-essay. from Jean-Pierre Garbaccio on Vimeo. I had these two friends in high school that I used to skate with. One day we got out a video-camera and started fooling around and filming stuff. We grabbed some spray-paint and some box-cutters and went to town; spraying stencils and slicing out the grip-tape on our boards. I think it was the very next day I realised I was pretty awful at any form of graffiti. I still loved how it looked and its ambiguity though; for me it held a dual purpose – the beauty of art combined with a child-like rebellion you felt when armed with a box of crayons and a lounge wall. When I was in university my brother’s friend lent me her copy of Banksy’s Wall and Piece. I loved that book; especially the page with the monkey who escaped through the ceiling vent and the adjacent text that stated: ‘A lot of people never use their initiative because no-one told them to’. What a genius. 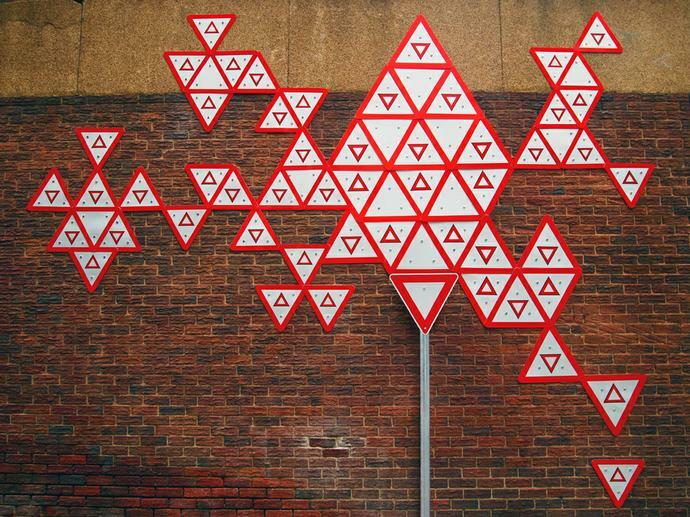 Episode 01 - RESISTANCE PROJECT - Public Art Installation by RALPH ZIMAN from MUTI on Vimeo. Episode 02 - RESISTANCE PROJECT - Public Art Installation by RALPH ZIMAN from MUTI on Vimeo. Episode 03 - RESISTANCE PROJECT - Public Art Installation by RALPH ZIMAN from MUTI on Vimeo. Episode 04 - RESISTANCE PROJECT - Public Art Installation by RALPH ZIMAN from MUTI on Vimeo. RE: Artist Collaboration: R!OT x RE: | Woolworths from JRP&V on Vimeo. Bulawayo local Sindiso Nyoni otherwise known as R!OT, is a self created craftsman, activist, multi-disciplinary designer and artist who started drawing at age 4… (he is yet to stop.) Originally drawing spark from comic book craftsmanship and vintage animation from an early age. R!OT primarily works in pencil, ink, pastels, gauche, and acrylic combined with computerized media to make a subversive African “street” style, which he calls Guerilla[art]. ABSOLUT gave six artists a deceptively simple brief: Transform Today. Living and working in Jeppestown, Johannesburg, they were given two weeks to deliver. This is the start of their journey… watch it unfold. r1. YIELD from r1r1r1 on Vimeo. Snippet from Dutch Ink Interview from Mxo Mathe on Vimeo. Zonnebloem renamed (2013) is a site-specific artwork by Haroon Gunn-Salie. Executed on Sunday 17 August 2013, ‘Zonnebloem renamed’ marks the centenary of the 1913 Natives Land Act in South Africa. This short film forms part of the artist’s ongoing collaborative exhibition with District Six residents titled WITNESS. WITNESS is a site-specific exhibition by artist Haroon Gunn-Salie which will be staged in one of the new homes in District Six on Friday 22 November 2013 from 14h00 – 17h30. WITNESS was conducted between 2011 and 2013 and deals with still unresolved issues of forced removals and land compensation in District Six and South Africa. The exhibition occupies a home, 70 Chapel Street in phase two of the District Six redevelopment programme allocated to a family of land-restitution claimants. District Six was a closely-knit, vibrant and multi-cultural community, forcibly removed by apartheid decree during the 1970’s from Cape Town city centre, when the area was declared ‘whites only’ under the Group Areas Act in 1968. During this time, District Six was officially renamed by the apartheid government as Zonnebloem. This renaming of the area further erased the history of the area and people from maps and public spaces. ‘Zonnebloem renamed’ is a short film, available on YouTube, shows Gunn-Salie executing series a temporary artworks by changing the ‘Zonnebloem’ roadsigns in central Cape Town to read ‘District Six’. The artwork is self-reflexive piece with deep political intent. ‘Zonnebloem renamed’ is a brazen attempt by Gunn-Salie to change apartheid and colonial heritage that dominates peoples popular memory in Cape Town and South Africa, through artwork, social action and intervention. Gunn-Salie is represented by the Goodman Gallery and in 2013 won a merit award in the Sasol new signatures competition. A University of Cape Town Michaelis School of Fine Art graduate created the body of artworks in collaboration with District Six residents. The exhibition engages in narrative oral history in unique manner, through a series of social sculptures and installations. 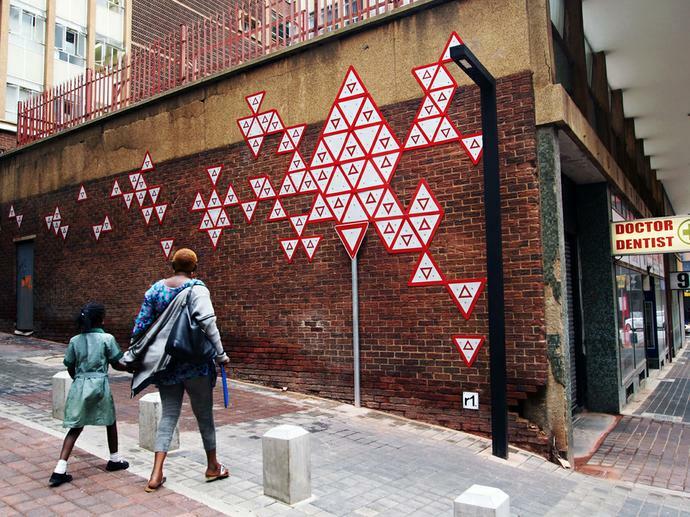 The project conducted between 2011 and 2013 sees the young artist collaborating with four District Six veteran residents. Participating collaborators are Ms Susan Lewis, Mrs Fasia Adams, Mr Abubaker Brown and Ms Zelda Hendricks. From Cape Town With Love [Excerpt one] from Carol Howell on Vimeo. From Cape Town With Love [Excerpt two] from Carol Howell on Vimeo. From Cape Town With Love [Excerpt three] from Carol Howell on Vimeo.